Towards new governance in the Arctic? A large, new marine reserve in the Arctic Ocean – is it at all foreseeable? 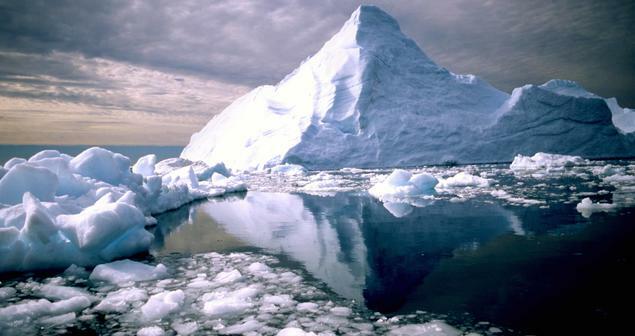 What would be the consequences for the Arctic states that control most of these waters today? FNI researchers will find these issues, and many more, on the agenda at this year’s Arctic Frontiers conference. The conference, to be held in Tromsø, Norway, 22–27 January 2017, will discuss the opportunities and challenges involved in achieving sustainable economic development in the Arctic region. Among this year’s speakers are Karmenu Vella, European Commissioner for the Environment, Maritime Affairs and Fisheries, Norwegian Prime Minister Erna Solberg, Professor Jeffrey Sachs, director of the Earth Institute at Columbia University, along with other scholars, NGO representatives and Arctic government representatives. Several FNI researchers will present recent work at the conference. FNI senior policy analyst Christian Prip will present a paper on possible ways of sustainably using and conserving biodiversity in sea areas beyond national jurisdiction. Such areas cover nearly half of the Earth’s surface and are increasingly coming under pressure from human activities. In 2015, the UN General Assembly launched negotiations on a new treaty on this topic under the Law of the Sea Convention. Area-based management tools, including marine protected areas (such as the one recently created in the Ross Sea), are among the key topics being discussed in these negotiations. Prip will discuss possible negotiation outcomes and how they may play into Arctic Ocean management. As twenty per cent of the Arctic Ocean is beyond national jurisdiction, an international instrument on such areas could have important implications for the Arctic region as a whole. The Arctic Ocean is not treated as a separate issue in the UN negotiations, but for Norway and the other Arctic countries, it very much seems like an ‘elephant in the room’, says Prip, who has been following the negotiations closely. FNI Research professor Olav Schram Stokke will have a plenary presentation of the interdisciplinary research project Stockshift (‘Spatial shifts of marine stocks and the resilience of polar resource management’). The project brings together leading marine biologists, international lawyers and political scientists, to study whether current marine resource management institutions are sufficiently resilient and adapted to the large-scale and climate change-induced shifts of major marine stocks. FNI senior research fellow Arild Moe will contribute to the conference’s official programme in connection with a roundtable discussion on ‘Russia in the Arctic: international and regional dimensions’. 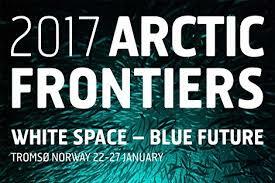 You can get more news and updates from the Arctic Frontiers conference here and follow live streaming from some of the presentations here.